My utter fave din dins! 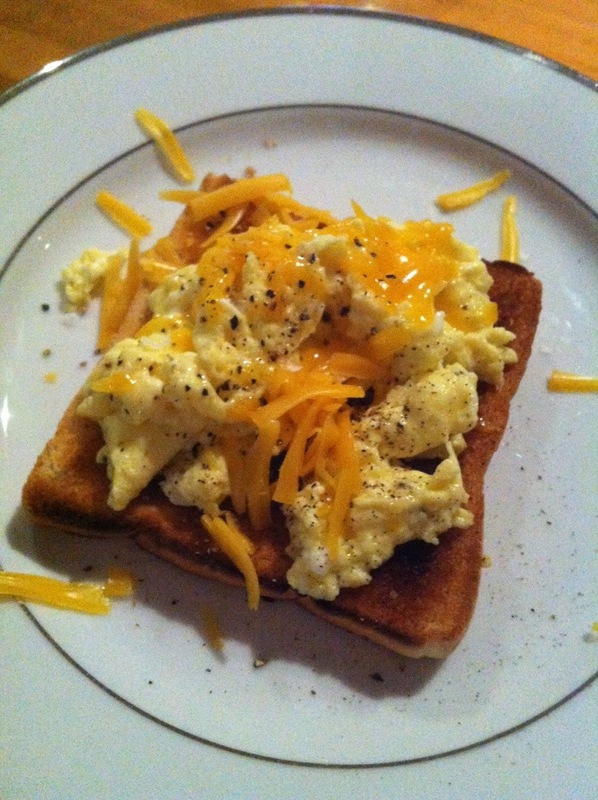 Soft creamy scrambled egg on white buttered toast with grated cheddar! Add pepper and salt to taste!! !